"This is a pasta salad that's not just a salad, it's a meal!" 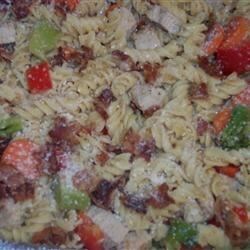 this pasta salad was a huge hit on easter sunday. everyone enjoyed it and i got lots of compliments and it was so easy and quick to make!